First time drinking this beer, bought it from the sg airport when i came back from japan. 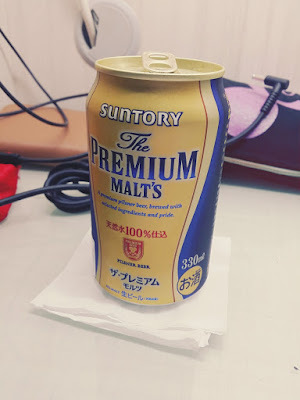 Its like the only japanese beer they sell there lol which is kinda sad. So i have been drinking beer for the past few days hahaa for various reasons :). Anws i think sapporo us my favourite beer for now. Thats all for tonight. Gonna sleep now and hopefully tomorrow i will be more productive and do more work. Have to work hard but at the same time think about my choices wisely.